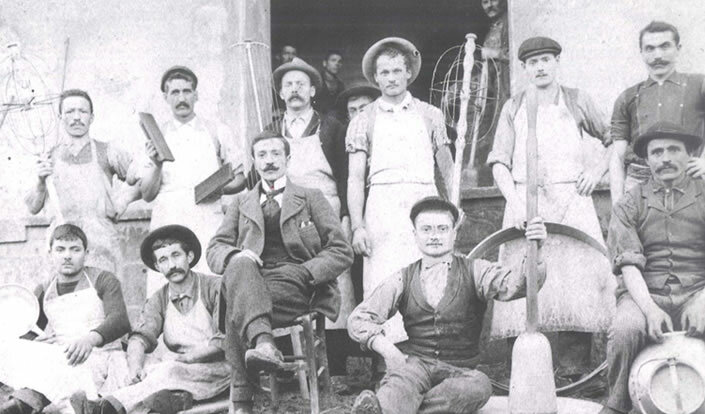 On 5 February 1900, 19 farmers, made a brave economic choice that would prove to be a winning solution to the underlying problems of farming in the Cremona and Po Valley area. Right after this, their numbers grew to 91, all located in the Soresina-Castelleone area, and all farmers who - until then - had focussed their business activities exclusively on their own farms. Their clear-sightedness and financial means led them to set up the Latteria Soresinese dairy, with the legal status of a cooperative, in which they invested the capital required for their milk to be turned into dairy products. 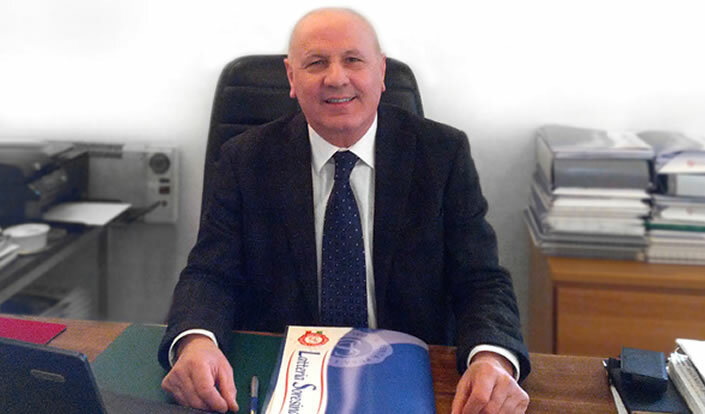 They entrusted the venture to a man of great stature, clarity of purpose and a shrewd administrator, Mr. Antonio Landriani. 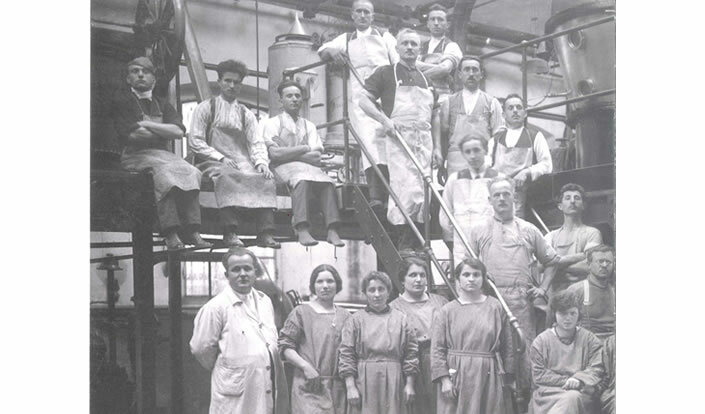 The cooperative became operational on 11 November 1900. The 91 members bought 2,918 shares, each with a value of 50 Italian lire, the present-day equivalent of about €1,600, for a total share capital of 145,900 Italian lire, currently equivalent to €4,650. Thanks to their high quality, the dairy products made by Latteria Soresinese soon established themselves on the market and among consumers, first in Italy and then throughout the world. 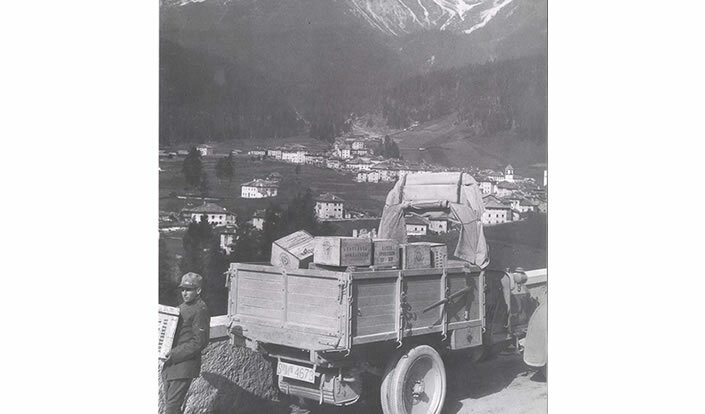 During the two world wars, Latteria Soresinese drastically reduced its production for the traditional consumer market in order to supply cheese and sterilized milk to the Italian armed forces as well as hospitals and larger cities. These decisions were taken out of responsiveness to the needs of those sections of the country engaged in war and of the civilian population, at the expense of the market. 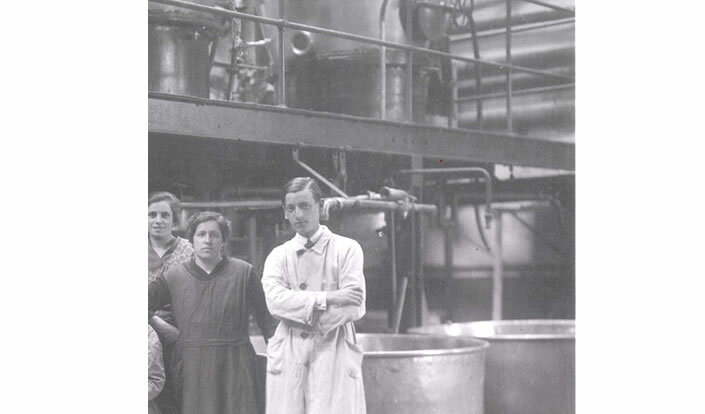 After the end of the Second World War, Latteria Soresinese resumed production with determination, targeting its traditional consumer outlets once again, while strengthening its position within the Italian dairy industry and boosting its industrial and commercial organization. Continuous and significant efforts were made to expand, in order to manage larger milk supplies and increase production through the creation of new plant facilities with new equipment and new storehouses. A similar amount of care was devoted to the treatment and testing of the milk. 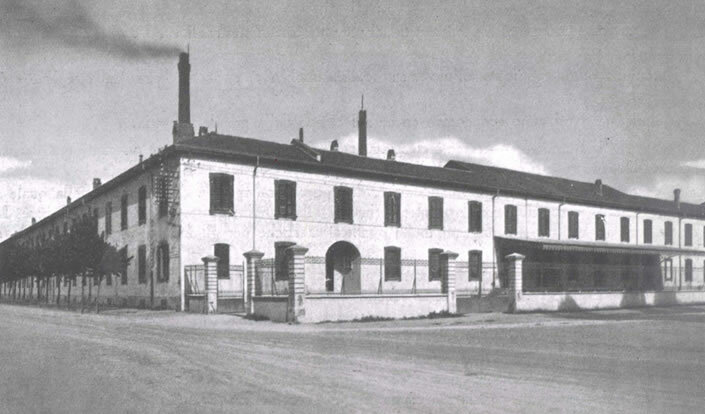 At the same time, assistance was provided to the dairy farms supplying the milk, testing facilities were set up, great efforts were made to achieve cheese diversification and constant quality improvement, and there was a strong focus on the production of butter, which is so well known for its excellence that the name "Soresina" has become synonymous with good butter. Why it is so big? Can you make it smaller? As a travel enthusiast, one of the most amusing episodes that has ever happened to him was when he walked into the only tiny shop in Illulissat, a small town in western Greenland, and found 2 vacuum-packed wedges of Grana Padano!! …sadly, though, they were produced by a competitor!! previous: Latteria Sociale Stallone Soc. Coop. a r.l. next: Latterie Alta Italia LAIT Soc. Coop. Agr.